When you spend time with Brandon, it will not take long to recognize his passion and commitment to helping clients make the best decision possible when buying or selling a home. As a principal of a top producing team at Compass, he is renowned among colleagues and clients alike for his integrity, loyalty and professionalism. As a former collegiate golfer at TCU, Brandon’s love of the game, discipline and unparalleled work ethic required to play competitive golf has carried over to his work as a Realtor. Coupled by his wife and business partner Tiffany Touchstone Hawkins, he takes a collaborative approach to real estate that embodies a passion for life and business. Brandon understands the importance of listening to his clients and prides himself on personal service and attention to his clients’ every detail. “Brandon is a brilliant agent. From the initial meeting where he thoughtfully listened to our long list of house criteria, to finding the perfect home and ultimately assisting us throughout the purchase, we couldn't be happier with the partnership. I cannot recommend him strongly enough,” says Lee Applbaum, Chief Marketing Officer at Patron Spirits International AG. 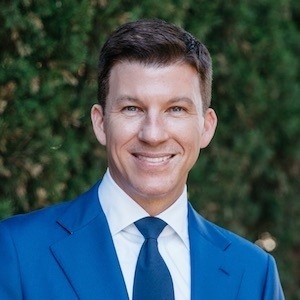 Whether you’re looking for a home in Preston Hollow or a luxury estate in Highland Park, Brandon understands the value of homes in Dallas’ finest neighborhoods. One client writes, “his knowledge of the local market is outstanding.” When you select Brandon to help you buy or sell a home, you can expect a personalized strategy that leverages the most innovative and high tech real estate brokerage. "Brandon and Tiffany were an amazing team, demonstrating professionalism and expertise throughout the entire buying process. They kept us informed and always responded to us in a timely manner. We could not have been more pleased with them." - Jamie N.
"Brandon and Tiffany went above and beyond for our family. They had a sense of ownership that really gave us a sense of peace and confidence knowing they were on our team. Very classy and dependable with local knowledge that translated directly to our equity position and potential. We'd recommend them to anyone over and over again." - Neil C.
"Brandon and Tiffany were brilliant agents. From the initial meeting where Brandon thoughtfully listened to our (long) list of house criteria to finding the perfect home and then ultimately assisting throughout the purchase, we couldn't be happier with the partnership. I cannot recommend them strongly enough." - Lee A.